Minimizing the environmental impact, and the financial losses. 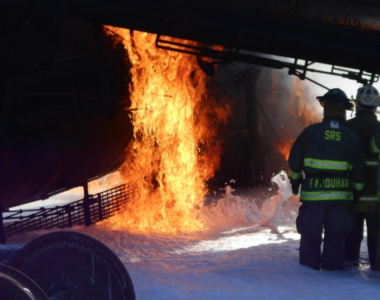 The risks posed by the rail transport of crude oil, flammable liquids, and volatile chemicals present some of the greatest challenges for emergency responders when dealing with contamination, containment, and remediation issues. 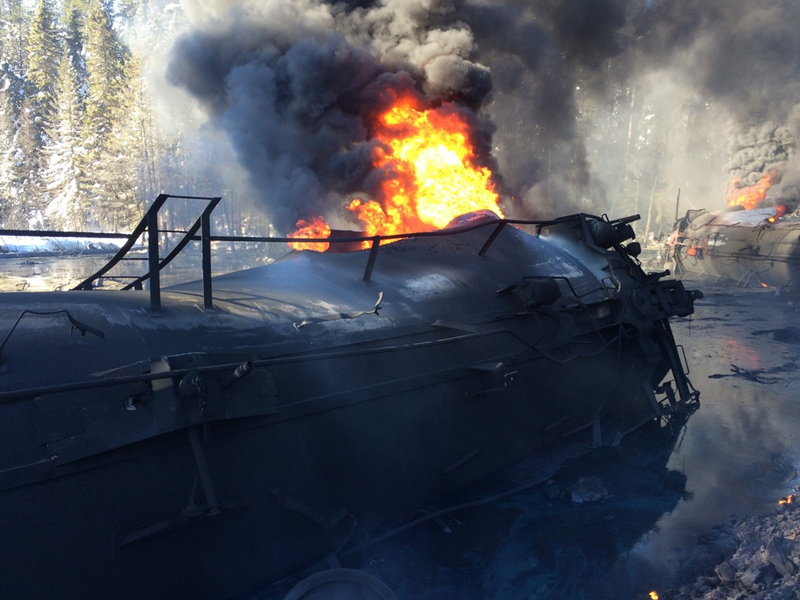 Having a comprehensive plan when a disaster presents is imperative for the high-risk transport of oil by rail. 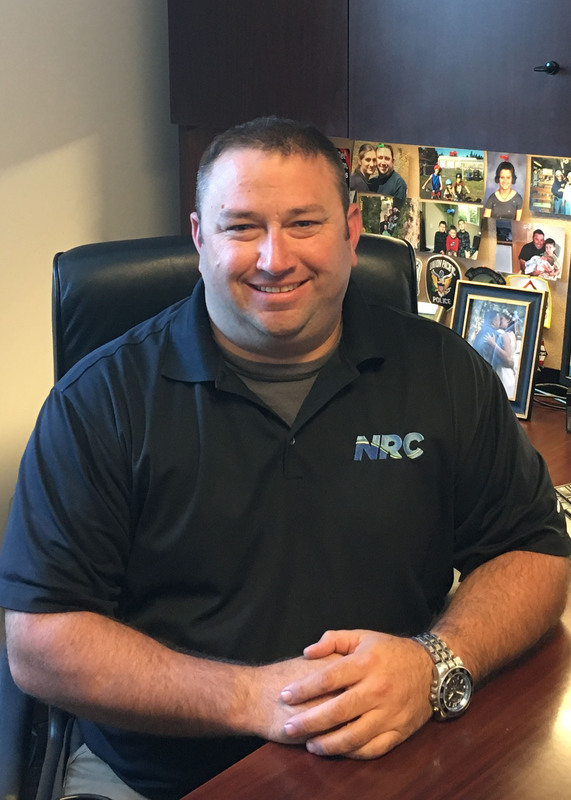 NRC’s international team of experts is poised to help as a strategic emergency response partner to the rail industry. 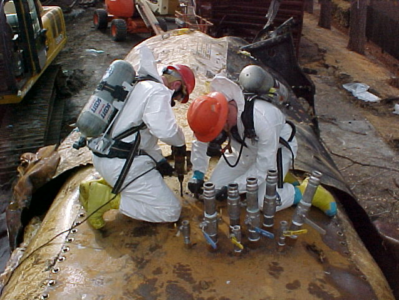 We are uniquely positioned to protect rail-transport clients with a comprehensive program of preparation, emergency response, and site remediation. 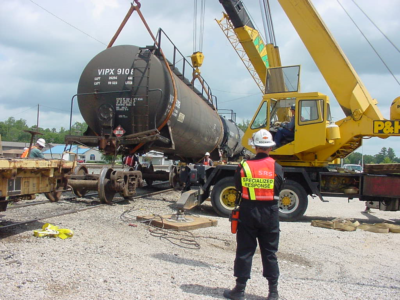 In recent years, a highly acclaimed NRC program called “Specialized Response Solutions” has dramatically enhanced and improved response efforts during derailment events. 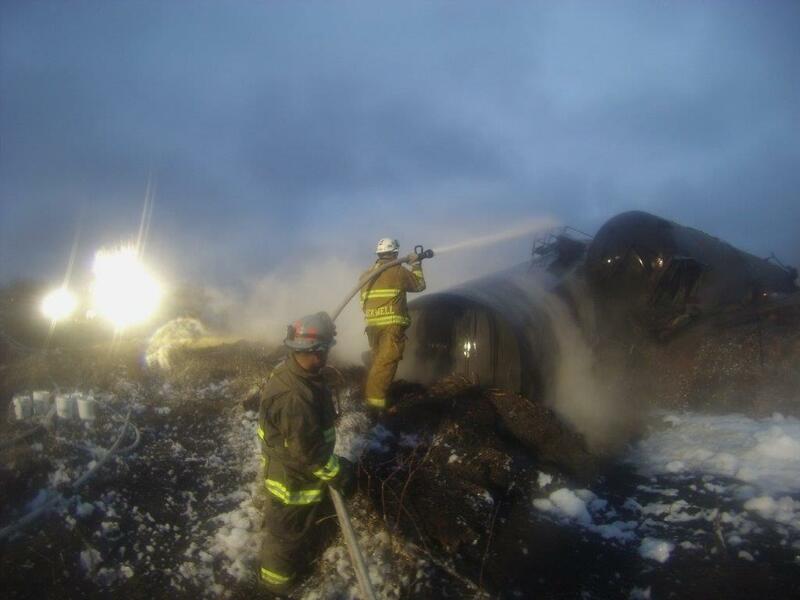 NRC is dealing with the impact of environmental emergencies with up-to-the-minute proprietary rail response equipment. 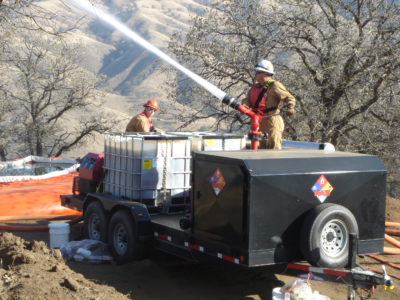 NRC’s “Specialized Response Solutions” program incorporates design, development, and fabrication of specialty tools and equipment for the emergency response business. “SRS” engineers design and fabricate customized vehicles and equipment that address the specialized requirements and design criteria for customers with specific concerns. Designers effectively incorporate practical experience and time-tested applications in the production of response trailers and vehicles. 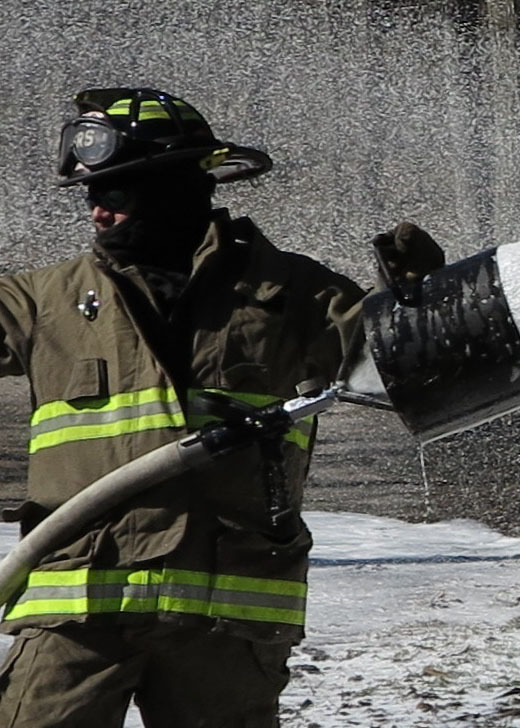 Design and manufacturing advancements include custom outfitted breathing air-trailers, emergency response trailers, utility vehicles, transfer trailers, foam application units, air monitoring/decon units, over-the-road tractor-trailer rigs, as well as specialized reactive/explosive material handling equipment and vehicles. Soil removal, groundwater treatment, soil vapor extractor/ air sparge systems.